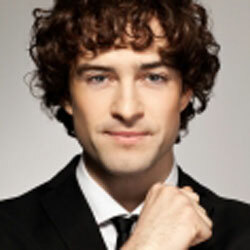 West End star Lee Mead is currently on his Love Concert Tour and has just released a new Love Songs Album. He is also due to appear in the next series of the spooky drama Bedlam on SkyLiving television playing a new boy called Scott who doesn’t believe in ghosts. 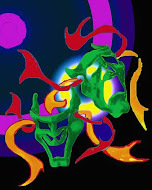 But when he moves into a flat at the haunted Bedlam Heights scary things begin to happen. Bedlam Heights is a converted lunatic asylum where Kate (Charlotte Salt) has been working with her father Warren (Hugo Speer) to renovate the former asylum into the latest in modern living. She's also bagged herself a rather stylish flat which she now shares with best mate Molly (Ashley Madekwe) and Ryan (Will Young).Then Kate's troubled cousin Jed (Theo James) turns up saying he just needs a place to crash, but the creepy goings on at Bedlam Heights soon start to get under his skin. Can he really 'Save Kate'? And from whom, or what, does she need saving? Lee said: “When the role in Bedlam came up I was really excited at the chance to be involved, and star alongside such a great cast in a fresh and original psychological drama.It's completely different from anything else I've done before. And while I can't give too much away about my character Scott, I think it's safe to say that the episode I'm in is genuinely scary - I'm really looking forward to seeing it back".